Poochy & Yoshi's Woolly World will be an early arrival on 3DS in 2017, the latest in a small batch of Wii U titles that are have been re-worked for the portable. It's a title that'll actually put the New 3DS to use, too, reportedly running at 60fps on the New model (like the Wii U original) and 30fps on older systems. Nintendo has been pushing the game a little today, releasing a new trailer to show off the features in the 3DS version. Unsurprisingly the Poochy amiibo plays a notable part; in addition to a scan of the extra bringing Poochy in as an assist character at any time (which will also come to Wii U via a software update), it'll unlock new Time Trial missions in the portable iteration. It's looking like a solid port, though we can't help but tease the clumsy shoehorning of Poochy into the game's name; it reminds us of a certain episode of The Simpsons. Are you tempted to pick this up on 3DS, or are you sticking with the Wii U version? "I don't want either version" is the wrong answer, arguably, as this game is a gem. Since I don't have a Wii U I can't wait for this game to come out! Will the Wii U version get an upgrade to support the new Poochy amiibo as well? Looks good, I don't think it's top of my list... but might pick it up when I have a few extra bucks. FINALLY! A Lucas Yoshi! Can't wait! Are Nintendo just going to port all the Wii U games over? 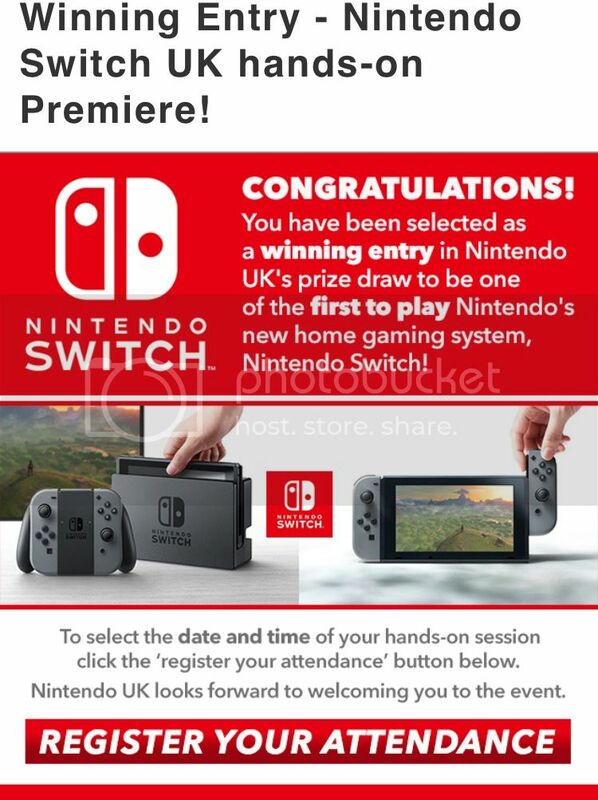 I'm guessing Nintendo are trying to sweep the Wii U under the carpet and pretend it never happened. "You'll probably want the amiibo..."
Already got my copy preordered. I never got the Wii U version and I play my 3DS more than my Wii U anyways. Absolutely love the WiiU version & the yarn Amiibos. Not the biggest fan of the character design for Poochy but I'm sure if I get a 3ds I'll pick this up & enjoy it. I burnt out on amiibo, and I've not bought any in a long time. 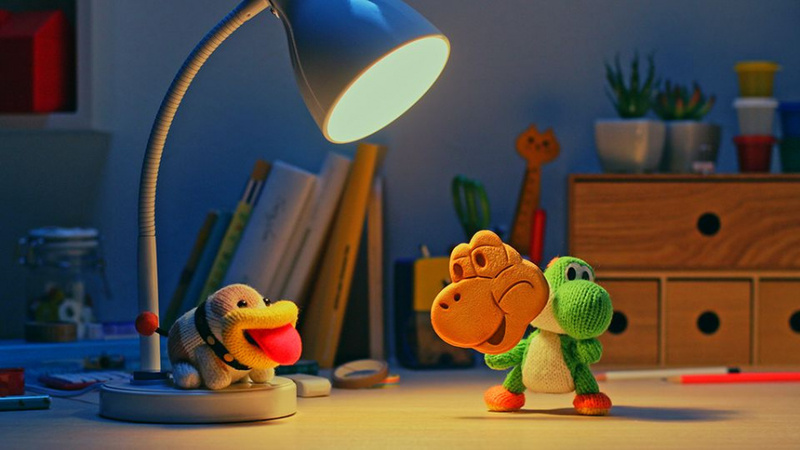 However, I absolutely want that irresistibly adorable Poochy amiibo. I never got round to buying the Wii U version despite saying that I'd do it, so I'll definitely pick up the 3DS version. If I see the game bundled with the Poochy amiibo, then that's an instant preorder for me. Also, +1 for the Simpsons clip. Even though I play my 3DS more than my Wii U, and this port has more content (unlike Super Mario Maker 3DS! ), I'm sticking with the Wii U version because of the massive graphics advantage. This looks really good but Kirby's Epic Yarn sequel for 3DS next, maybe? :3 I really loved that game and would be up for more! I'm kinda likin' the gameplay (played demo on Wii U). If the reviews will be favourable I think I'm gonna buy the game for 3DS. I love this game on Wiiu and always play as real Yoshi (mario bros Yoshi amiibo) it feels like I'm playing yoshis story 2 then. By the way Captain Toad treasure tracker would be a great 3ds port. Imagine that great game in 3D! That's just dripping with charm. I'll have to get that. How about ACNL Welcome amiibo cards ? They are cheap and really worthed to get "New" villagers (From past Animal Crossing games) and Completely new villagers (Sanrio + Zelda + Monster Hunter). Not a Scam, collectible items, really fun to collect, really nice card design. I will order some Amiibo cards later. Come on, Amiibos are not Scam after all. At least we can treat them like Collectible Toys. Back to topic, Poochy amiibo might be a bit expensive, but still useful for some events. Well, maybe not every events. I'm sure you will not regret after buy one. So far, I only have One HHD Amiibo card (Digby) and still in plastic, unopened for more than 1 year, can be used for ACNL Welcome Amiibo. @Anti-Matter I regret buying amiibo. They are a scam. They are small expensive toy dlc which is already on the disc. I gave up after my 12th one. Please don't be so negative/ sarcasm with me. I know from all your comments. What's wrong if I have different way of thinking ? This reminds me: I should replay Wooly World. Between that, 3D World, Tropical Freeze, and Rayman Legends (whicj I haven't played), the Wii U is brilliant for platformers. I will give it a try someday, but I'm not in desperate need of it right now. @Anti-Matter nothing wrong. It's a opinion man. I would have rather had more games ported to the Wii U from the 3DS ... think Luigi's Mansion Dark Moon, Kid Icarus Uprising, heck even Animal Crossing New Leaf. Got the original and will double dip for this. At the same time I hope they release the other features as Dlc for Wii U owners. While I do like people that only have the 3DS get to play it I'm not a fan of "better" versions coming out of games I already own on the WiiU, feel a bit cheated. If the WiiU version gets an update however I'd be fine with it. NAW, THOSE POOCHY PUPS ARE DOWNRIGHT ADORABLE! I NEED THIS GAME AND THIS AMIIBO NOW! Yeah, I really don't think I need to explain my opinions on this game. It's Poochy and Poochy is life! But will there be a Bayonetta Yoshi? I'm legit getting the bundle just for the amiibo. And if the poochy amiibo is sold separately, I will buy another one too. I will get the amiibo. I like the new additions but not enough to double dip. Have fun 3ds only gamers. Wait wait wait, so...what does Poochy actually do in this game? And if I DON'T buy the Amiibo, will I still be able to ride on him, or no?? And here, I thought this game wouldn't have the amiibo designs. Not sure why. I guess after Super Mario Maker for 3DS didn't have the Mystery Mushroom, I figured this one might not support amiibo, either. @Janus1986 It'll be added by patch to the Wii U version. Thomas mentions it in the article, above the first embedded video. Does anyone else think that the title should be the other way around? At this point, this game should be called: "Poochy & Yoshi's Woolly World & Knuckles". That Poochy is one outrageous dude. @Xaessya But you like Poochy? I'm fine with that. Wait, is that Mystery Mushroom can make Mario get drunk ? So does the graphic and music get distorted ? @Anti-Matter ...What? N-no, the Mystery Mushroom is that thing in the Wii U version that gives you an 8-bit costume, like Inkling, Waluigi, and Mega Man.